Shares have been on a record-setting spree, bolstered by a string of better-than-expected corporate earnings and recent government measures. Foreign portfolio investors bought shares worth a net Rs 988.25 crore. Mumbai: Benchmarks ended at record highs for the fourth session in a row on Monday on sustained foreign fund inflows and persistent buying by domestic investors. 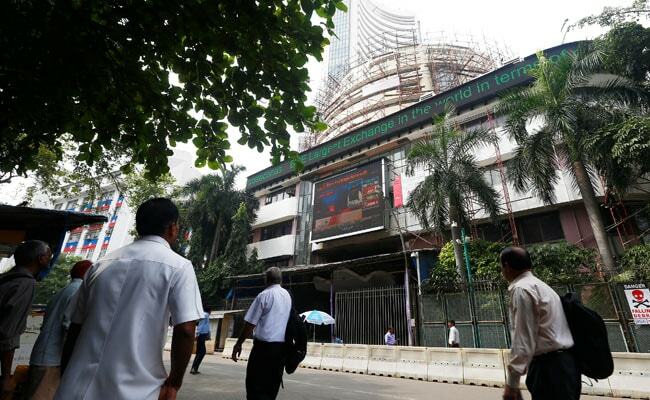 The BSE Sensex surged 286.43 points to close at 35,798.01 while the broader NSE Nifty ended at 10,966.20. Shares have been on a record-setting spree, bolstered by a string of better-than-expected corporate earnings and recent government measures, including a cut in the Goods and Services Tax (GST) for certain sectors. It shed some ground on profit-booking, before finally ending 286.43 points, or 0.81 per cent higher at 35,798.01, smashing its previous record close of 35,511.58 reached on Friday. The gauge had gained 740.53 points in the previous three sessions. The NSE Nifty also hit a record intra-day high of 10,975.10, before finishing at 10,966.20, up 71.50 points, or 0.66 per cent. It bettered its previous closing high of 10,894.70 reached in Friday's trade.